As we partner with educators to develop a common understanding around a holistic definition of student readiness, many school communities are utilizing explicit and common language to operationalize what readiness means to their community. Many schools already have a holistic definition that their staff, students, and families have bought into or sometimes have even helped to design. For example, schools might adopt the IB Learner Profile as their definition or use the Four Cs developed by Partnership for 21st Century Learning. However, we often see that once a common understanding is agreed upon, it ends up relegated to a classroom poster that is used inconsistently throughout school campuses, instead of being intentionally reinforced for students as well as a promise applied to all stakeholders on campus (students, staff, families, etc.). Too many times, we’ve seen schools set a vision or outcomes that are only for the students. We’ve found that when readiness maxims are applied to everyone in the community, there is a higher probability of the vision being successful. One way school leaders are being intentional is by developing “look-for” documents that describe possibilities for how students are exemplifying their definition of student readiness. 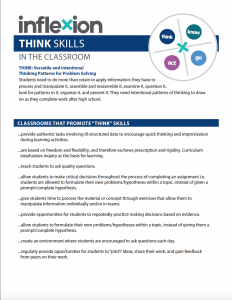 These documents allow staff to explicitly point to where and how students are learning and demonstrating these outcomes, and they identify what type of learning environments are needed to ensure students are continually provided opportunities to gain these skills. Once staff agree upon how to build opportunities for students to gain these skill into the day-to-day rhythm of their classrooms, then schools begin to gather feedback from students and staff through surveys and focus groups to monitor students’ progress as they gain these skills. 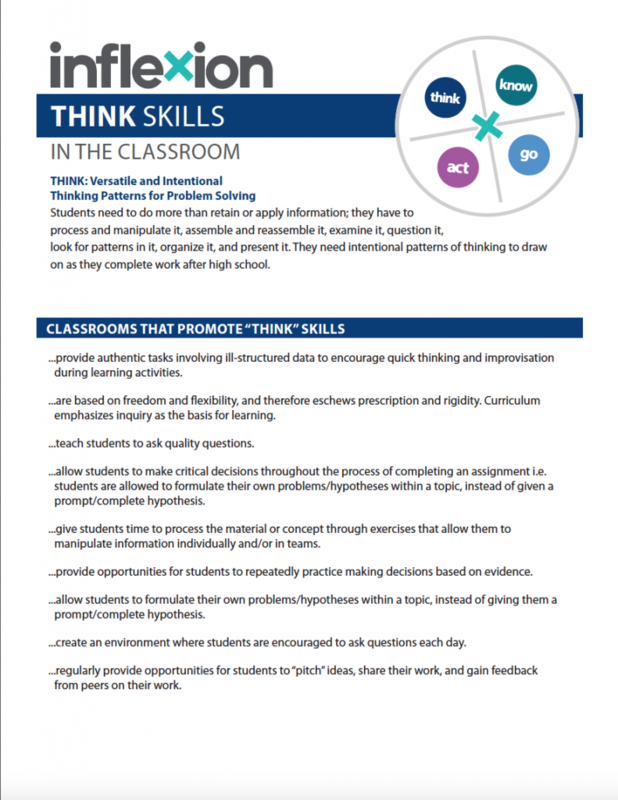 Check out and download our example “look-for” documents using Dr. David Conley’s Four Keys to College and Career Readiness framework (Think, Know, Act, Go).